Take a few minutes each week to identify the most promising sales. Estate sales are like tag sales on steroids. They normally take place when a person or a family is selling off virtually everything in their home, perhaps because of a death in the family, bankruptcy, radical downsizing, or even a cross-country move. Consequently, while you might notice some cast-off possessions at an estate sale, you're also likely to see some valuable items: furniture, artwork, antiques and even expensive jewelry. 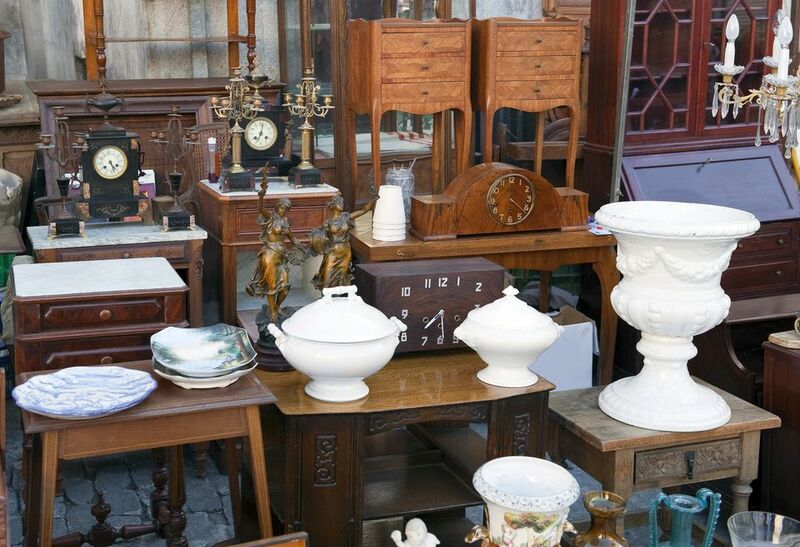 Estate sales offer you a fun opportunity to bargain-hunt, with the chance of a major payoff. But how can you locate the best estate sales in your area? This will take some legwork, but with a few minutes of research each week, you should be able to identify the best estate sales and add them to your weekend list. Look in the classified section of your local newspaper for listings. Most estate sales start on Fridays, so start looking for listings on Thursday. Check Craigslist.org for even more listings in your area. It is a great place to turn up sales that aren't being run by the pros. Use estatesale.com and estatesales.net to search for any sales that you may have missed. Both of these sites are national, and allow you to search by city or by zip code. Be sure to sign up for the weekly updates while you're there. To identify additional estate sales agents in your area, type the term "estate sales" and the name of your city into a search engine. Then, visit the website of any estate company that you turn up. They'll typically have listings for all of their upcoming sales, and in most cases, a spot to sign up for e-mail notifications. Not all the listings you'll find are for estate sales (even if the listing uses the word "estate"). To narrow down your list of sales to visit, you should look for words like "whole house" and "everything must go." Be aware that estate companies often add more items (plus estate pictures) to their websites in the days leading up to the sale. Check back often, especially if you're looking for something in particular. Finally, if you enjoy paying bargain-basement prices, then hit the sales on the last day, when prices typically are slashed in half.